Previous: Previous post: Read Love Train for free with Amazon Prime! Jason King is a fantasy epic writer looking to carve out a unique niche in the genre. Here he talks about his book, which marketing tools have worked, and which ones haven’t. 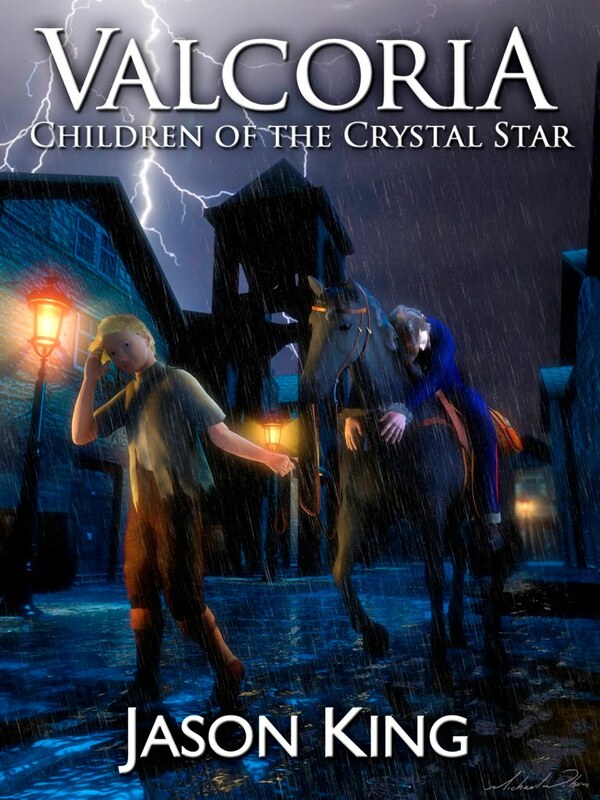 My book is called Valcoria: Children of the Crystal Star, and is a fast-paced, high-action, epic fantasy. Those familiar with the works of Robert Jordan, Jim Butcher, and Brandon Sanderson will recognize a similar flavor in my writing. Valcoria has several main characters, and often changes narrative points of view, but the plot centers around a teenage street-thief named Yuiv, and a soldier-swordsman named Sitrell who are thrown together when their city is attacked by an invading army. Through the efforts of an anonymous sympathizer, they escape execution and are given vital information that they need to deliver to the leaders of their kingdom. As they undertake an urgent quest to save the kingdom of Amigus, Yuiv and Sitrell soon learn that they are part of something much larger in scope than simple political intrigue or war. They are players in a conflict between two gods, one striving to protect Valcoria and mankind, and the other seeking to rule and destroy it. I’ve sold more e-books than printed copies, which is what I expected and in line with the current industry trends. It hasn’t taken off the way I had hoped, but the blame for that is on my lack of marketing, something that I am trying to remedy. Originally, I was pitching my manuscript to agents and publishers, but wasn’t having much luck. A friend suggested I try Amazon KDP, and so I published Valcoria myself as something of an experiment. I am very new at self-publishing. I think with the way the publishing industry is changing, and the rise of popularity of e-books, this outlet has great potential. I know in the past self-publishing was a bit taboo, and I am glad to see the collective sentiment changing – though it can make standing out amid so many new novels a bit daunting. So far I’ve worked the social media angle – Twitter, Facebook – and have had some success. I also tried a bit of email marketing, and Google Adwords, both with mediocre results. I’ve also given away copies to both friends and strangers in order to garner some reviews. I had my film student friend help me with a book trailer that was very well-received. The email marketing. I don’t have a list and so tried a marketing service. It is expensive, and the results were poor. I would avoid doing email marketing unless you’ve personally built an email list (I can hear the collective “well, duh”). That the key is marketing. You could have written the next fantasy best-seller, but if your marketing is weak, then you’re not going to get anywhere. I should’ve done more market research before launching Valcoria. Also, I think creating pre-release hype is an effective marketing tool that I failed to utilize. Design a detailed marketing plan before you publish. The sequel to Valcoria, an untitled fantasy novel, and a YA fantasy-comedy that I am taking down the traditional publishing path. Of course my website, but I actually think my Goodreads page is a better resource.